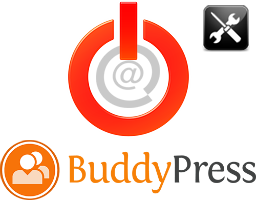 BuddyPress the social networking plugin for WordPress sends an activation email when a new user registers. This email is very plain so why not add some spice to it by having your custom email. There are many forum threads out there for this topic but 99% of them don’t mention if their method is for single site or multi site. So I spent a lot of time trying customize this activation mailer without any success. Finally I sank into the code of BuddyPress and found the right set of hooks for the each environment – single or multi site. These are the filters that contain the necessary data. Changing the subject is pretty simple. Thanks for registering! To complete the activation of your account please <a href="' . $activate_url . '">click here</a>. The email’s Content-Type is to be modified only for the BuddyPress activation message, so we act on the wp_mail_content_type hook only inside this function. You can also use full fledged email templates to give a branded feel. These are the hooks which contain the activation email and its subject on a Multisite setup. The arguments passed by the filters are different here. Just choose the right pair of hooks depending on whether a blog is being created or not when a user registers. This file resides in wp-content/plugins/bp-custom.php, if it not there create it and paste the required code. This is the method I recommend because it works in sync with the BuddyPress plugin and is not affected by change of themes. Also disabling BuddyPress will cause this file NOT to be loaded thus reducing the number of loaded files. You can create a file inside wp-content/plugins/ with the following plugin header and place the code after it. This gives the advantage of being able to disable this functionality if not needed. This is the least recommended location because changing the theme will result in lost of this functionality. Why should the $accepted_args parameter be 5? This filter only passes 3 variables. Sorry was using a heavily modified version. However the naming convention is correct, the tutorial above works great for the subject line but not for the message. So setting the fourth argument of add_filter() to 5 made it work for you? No its the the change to the 1st argument which made it work. This article explains both the filters, check under the single site and multisite headings. “bp_core_activation_ …” is for Multisite blogs and the one that worked for you is for single site. Lol! Sorry Jesin, great post!! Ty for the post, it is very enlightening. I was wondering if you could help me with something else. I would like the BP activation email to also send the new user his/hers username and password. Is that possible? This post already uses the username in the example code snippets, $user->user_login prints the username. I can’t find a way for sending the password without editing the core files which I don’t recommend. Thanks a bunch for your reply. Now the emails send the username, which was actually more important that the password. Awesome, you have made my life much better. I can’t stand plain and jane. 🙂 This is perfect for my remodel of WinkPress. It was VERY helpful post, for me. How to sync buddypress activation with Aweber activation (opt-in email) ? What are the functions that allows to have the email, username, and the profile information for buddupress? and where is that I can put a function that sending this information? but I can’t find the file bp-custom.php. I just want to locate and modify that email. Editing the file is not the right way to do it, updating BuddyPress will overwrite the changes. Use the bp_core_activation_signup_blog_notification filter as shown in this article to modify the mail text. Yes but I just want to edit the file for now. I think it is easy for me now. Which file i have to edit? What about customising the title? Use the bp_core_signup_send_validation_email_subject filter on single sites and bp_core_activation_signup_user_notification_subject or bp_core_activation_signup_blog_notification_subject on multisites. The article above covers these filters too. This is unfortunately beyond my current skills. Would you have a snippet that works out of the box? Thanks for this. I’m getting a weird issue though. I created a plugin using the code. Locally it works fine. I can see in my mailoutput in XAMPP that the email has been created. I am also testing a version of this on a subdomain on the live server, but here the reigstration email doesn’t sent. If I switch off the plugin the default activation email gets correctly sent. For some reason the exact same code isn’t working on the subdomain. Do you have any idea why? It could be that the customized email is being marked as spam, did you check the junk folder of the recipient? Hey! Yeah I did check the junk folder. When I switched off the plugin, the default Buddypress activation emails were coming through. Not sure why it isn’t working as it’s fine locally. I’m wondering if it is to do with it being on a subdomain. Hi Jesin, this is a great snippet. However I have a problem. The function works great when the user registers for the first time, the email is sent automatically and is displayed as it should; but if I try (as admin) to RESEND the activation mail to the new registered user, the $user->user_login variable is empty, it doesn’t show any value in the email message. Also, do you know how to show the user first_name instead of user_login? This doesn’t seem to work either. Hi Jesin, thank you for your snippet . Thanks for registering! To complete the activation of your account please <a href="' . $activate_url . '" rel="nofollow">click here</a>. Do you know a way to use it in to language english and french. I run for the moment a site in french but we plan to translate it in the next year. I would like to deactivate the activation of an account by email, when a user registers on my site, he is waiting, I would like the member to be automatically activated after his registration, do you know a php code or a plugin For it to work ?